Fresh, Smooth and Bursting With Flavor! 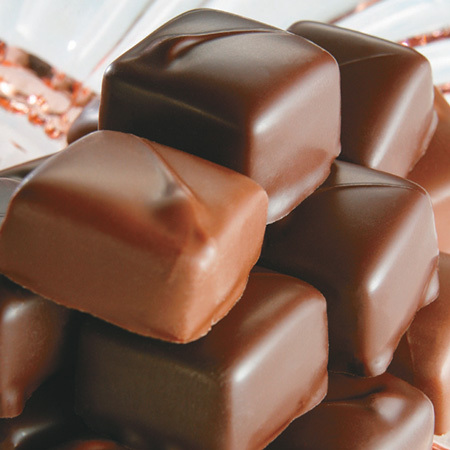 Our handmade, slow cooked caramels are a perfect blend of fresh cream and butter, dipped in milk or dark chocolate. Each bite of our soft, melt-in-yourmouth caramels is an experience not to be missed. This traditional favorite is hand packed in your choice of milk or dark chocolate and the most popular way, a combination of both milk and dark chocolate. Just let us know.